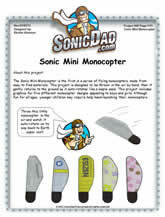 The Sonic Mini Monocopter is the first in a series of flying monocopters made from easy to find materials. This project is designed to be thrown in the air by hand; then it gently returns to the ground as it auto-rotates like a maple seed. 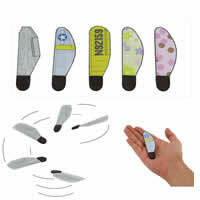 This project includes graphics for five different monocopter designs appealing to boys and girls. 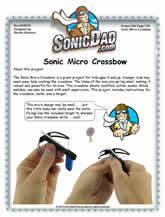 Although fun for all ages, younger children may require help hand-launching their monocopters.